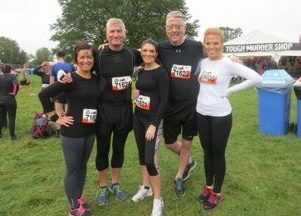 A team from Paul Crowley & Co Solicitors has raised over £2,250 for Diabetes UK at a Tough Mudder North West event. The 20-strong team took part in the race at the Cholmondeley Estate in Cheshire earlier this month. With 12 miles and over 20 obstacles to conquer, the group tested their physical endurance as well as their team working skills on the day. So far the team have raised £2,269 for Diabetes UK, a cause which has invested nearly £60 million in diabetes research over the last 10 years, with the figure still growing. Senior partner, Paul Crowley, says: “Diabetes is a horrible disease to have and to live with, and is unfortunately one which affects a number of our team and their families so is very close to our hearts as a firm. “I am extremely proud of the team’s efforts on the day, and we are overwhelmed at the generosity of all of those who sponsored the Paul Crowley & Co team. To raise over £2,250 for such an important cause is an incredible achievement and something which we hope to continue doing”.